I intercepted this note from some 3rd graders. 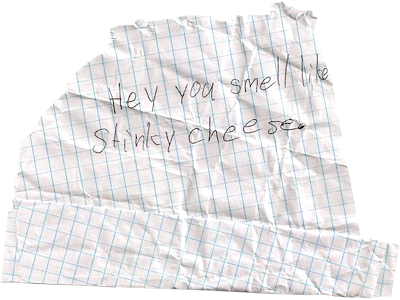 Later I found more of these notes under the recipient’s desk. Turns our he was writing to himself. And yes, he was receiving counseling.